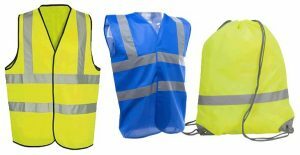 Just in case you missed it, we have a dedicated page for Hi-Vis garments which are always popular this time of year. From Hi-Vis Vests to Armbands, we have a huge range of items that are great for the journey to and from school, and even school trips! Logo printing is available too, so please give us a call to discuss!